Winners of the World Television Awards 2014 were officially announced at the Asia Media Summit in Jeddah, Saudi Arabia on 6 May 2014. Mr. John Maguire, Director of International Development of France Médias Monde (FMM), France, and Chairperson of the jury session, announced the winners in front of the delegates who attended the Summit. In the Humanity category for the Best TV Documentary on "Promoting Children's Rights", the winner was "The Dark Side of the Chocolate" directed by Mr. Miki Mistrati and broadcast by ARD – Germany. Mr. Salah Eddine Maaoui (Director General of Arab States Broadcasting Union, ASBU) and Mr. Yang Binyuan (Director of AIBD) presented the trophy and certificate to Mr. Miki Mistrati and Ms. Helle Faber, the producer of the documentary. In the Science/ Environment category for the Best TV Programme on "Building Resilience to Climate Change", Mrs. Dra. Rosarita Niken Widiastuti (President Director of Radio Republik Indonesia, RRI, and President of the AIBD General Conference) and Mr. Yang Binyuan (Director of AIBD) rewarded the winner Ms. Won Hye Young for her movie"1 Ton Project" broadcast by Busan MBC – Korea. For each category the winners received a cash prize of US$5,000. The World TV Awards 2014 are supported by Arab States Broadcasting Union (ASBU), United Nations Environment Programme (UNEP), Norwegian Broadcasting Corporation (NRK), Radio TV Malaysia (RTM) and The Islamic Broadcasting Union (IBU). CATEGORY HUMANITY for the Best TV Documentary "Promoting Children's Rights"
CATEGORY SCIENCE / ENVIRONMENT for the Best TV Programme "Building Resilience to Climate Change"
The final jury session of the World TV Awards 2014 took place 3 and 4 April 2014 at the AIBD office in Kuala Lumpur. 38 entries were received from 18 countries for the category Humanity and 26 entries were received from 12 countries for the category Science/Environment. Mr John Maguire, Director of International Development of France Médias Monde (FMM), France chaired the international jury. 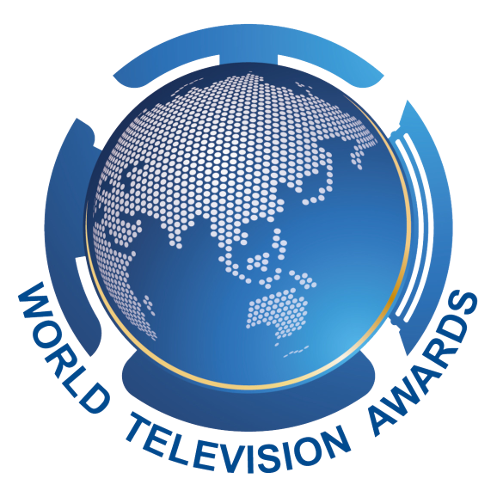 Considering the importance of the topics and anticipating an overwhelming response from Television Programme Producers, the deadline for programme submission of the World TV Awards is now extended to Tuesday 1st April 2014, which will be the final deadline. Category Humanity for the Best TV Documentary on "Promoting Children's Rights"
Category Science/Environment for the Best TV Programme on "Building Resilience to Climate Change"
Winners will be presented with their Awards during the Asia Media Summit to be held in Jeddah, Saudi Arabia on 6-8 May 2014, a global gathering of broadcasters. The World TV Awards are supported by Arab States Broadcasting Union (ASBU), United Nations Environment Programme (UNEP), Norwegian Broadcasting Corporation (NRK), Radio TV Malaysia (RTM) and The Islamic Broadcasting Union (IBU).